QuickBooks Payroll, no matter what version your company is using or considering using, is extremely sophisticated software that is user friendly. While we normally recommend that a business owner outsource the payroll function to a third party vendor, many choose to keep the payroll function in-house. While relatively simple to use, QuickBooks Payroll training is HIGHLY recommended as there are definite pitfalls to avoid. We have all heard the advertisement, “If you can write a check, you can use QuickBooks”. We all wish it was truly that simple, but take our advice; if you choose to do payroll on your own, you need this training to avoid costly mistakes now and in the future. Understanding the Difference between QuickBooks Basic Payroll and QuickBooks Enhanced Payroll –This brief section will help you determine which version is most appropriate for your firm. 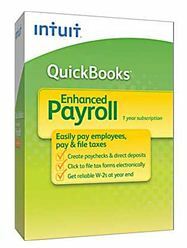 How to Pay Employees – Learn how to enter employee’s hours in QuickBooks and how the software calculates earnings, payroll taxes and deductions. How to Print Paychecks and Use Direct Deposit – While there is an additional fee for direct deposit, we’ll walk you through the process. How to Use the “Calculate Payroll Taxes” Feature – QuickBooks Payroll will calculate federal and state payroll taxes for you. We will teach you how to keep track of what you owe and how to set reminders of when and how much to pay. We’ll show you how to pay your federal and state payroll taxes electronically with E-Pay at no extra cost or how to write checks in the software to make the tax payments yourself. How to Handle Tax Forms – While Basic Payroll does not include any tax forms, you can easily generate reports and work with your accountant on tax filings. Enhanced Payroll automatically fills in the latest federal and most state payroll tax forms for you – just print, sign, and mail. We’ll show you how this works. 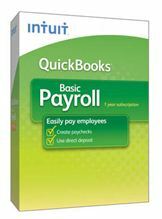 Bring your toughest QuickBooks Payroll question, and if we don’t know the answer, we guarantee to hunt it down for you! Click the “Find a Trainer in your Area” tab above for information on a local QuickBooks expert in your area. They provide one on one training, group QuickBooks live seminars, as well as training at your location or via the Internet. CALL NOW for the QUICKBOOKS PAYROLL HELP YOU NEED!